ATLANTA: Houses in Atlanta’s Old Fourth Ward on Kennesaw Avenue are lodged between desireable neighbourhoods that warrant asking prices of $500,000 – and high-crime areas that mean thosehouses remain on the market for months. 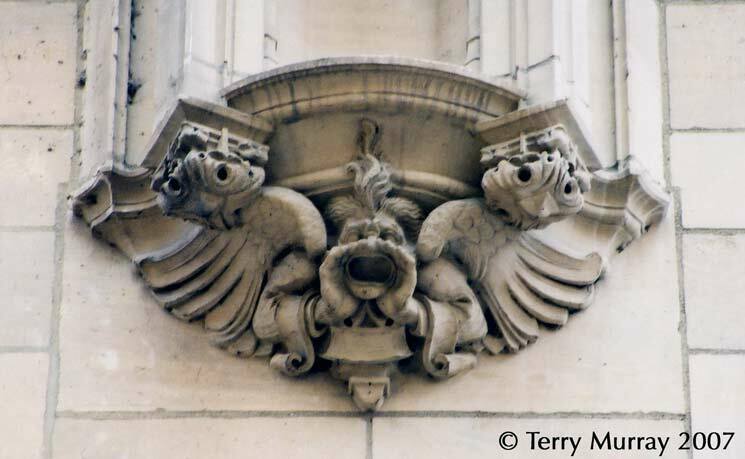 One such house was highlighted here because of the two gargoyle statues on its front porch. “Crime be damned!” said the article. BARRE, VERMONT: A new bicycle rack features two gargoyle sculptures at either end of a serpentine metal bar on the town’s Main Street. They were created by local sculptor Chris Miller as part of the Stone Sculpture Legacy Program, which was paid for by the Charles Semprebon Fund. Sempron, a Barre native, left $2 million to the city when he died in 2009, earmarking about half of the money to complete a bike path between Barre City and Barre Town and some of the bequest to promote public art. Semprebon was a cycling enthusiast and Barre is a stone capital, with a history of granite-working. Two other sculpted bike racks have been commissioned: One is a jack-in-the-box on a spring-style bike rack, and the the other is a big-wheeled tricycle that appears to jump from one side of a bike rack to the other. All three are carved from Barre granite. 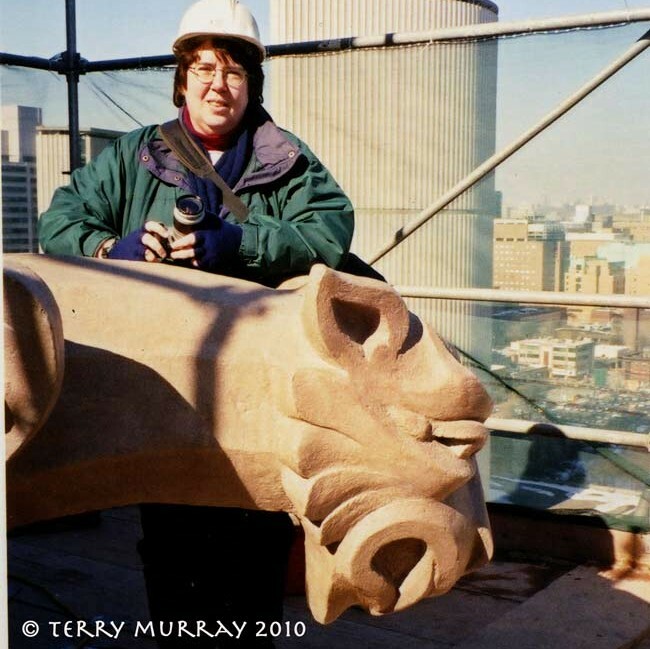 NOT STRICTLY GARGOYLES: Canadian word-watcher (actually, “word spy”) Paul McFedries flagged “parasite building” as a new phrase that has entered the lexicon. He defines it as “a small building or structure that has been added to an existing, larger building, particularly when the styles of the two structures are noticeably different.” Maybe like the Michael Lee-Chin Crystal addition to the Royal Ontario Museum in Toronto?